Update #2: Thanks also to Chris9911 for another nomination on April 27/12. I never get tired of praise! And I will do another “7 things” post to catch up on my obligations – I promise. Update: Thank you also to Let’s CUT the Crap! over at How The Cookie Crumbles for a second nomination on January 13/12, and to RVingGirl on January 18/12! I’m flattered, delighted, and… pushed for time, so it might be a while before I keep this circulating. Meanwhile, here’s the post from my first nomination. 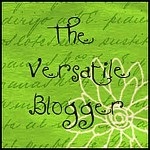 Many thanks to Nancy over at notquiteold for nominating me for The Versatile Blogger award! As she points out in this post, when you do the math, it becomes apparent that within a very few iterations of this award, theoretically everybody in the blogosphere could receive this award. Twice. But I don’t care. I’m pumped that she liked my blog enough to nominate me. Thank the person who shared the award with you by linking back to them in your post. Pass this award to 15 recently discovered blogs and let them know that you included them in your blog post. In the category of “awards that sound more prestigious than they actually are”, I won a silver medal in the 2003 team archery event at the Multi-Sites Indoor Championship of the Americas (MICA). There weren’t a lot of participants, and the medal isn’t really silver. It’s not even silver-plated. But, hell, it’s in my drawer, and I’m proud of it. Shortly thereafter, I was sidelined with a wrist injury. It’s taken me a long time to get back into it, but I’m hoping to compete in some archery tournaments again this year. The only food I don’t like is black liquorice. If I had to choose only one thing to consume for the rest of my life, it would be milk. I’m a car nut. I love to watch drag racing, and I’m in the process of rebuilding a 1953 Chevy 210 sedan. The engine is done, but the body is waiting for a budget. Has been for years. Sigh. My talent level is the same for both painting and piano: I’m exactly good enough to realize how bad I am when compared to a real artist/pianist. But hey, I have fun. I have a helpless, uncontrollable addiction to gardening. I’m incapable of leaving a patch of dirt undisturbed. I grow and preserve my own fruit and vegetables, and I make hard cider from the apples from my backyard tree. My MP3 player contains blues, rock, metal, country, barbershop quartets, classical voice and orchestra, Gregorian chants, folk, ragtime piano, reggae, jazz, and some stuff that I can’t even put a genre to. I love it all. The only music that makes me retch is the vapid, limp-wristed whining of 80s boy bands. I have worn a dress or skirt about nine times in the last thirty years. Twice to get married (the first time didn’t take), once to my sister’s wedding, a couple of times to funerals, and a few times to black-tie parties. I enjoy dressing up approximately as much as I enjoy listening to 80s boy bands. Regarding Condition #3: I follow tons of blogs, and my perennial favourites are in the blogroll at the right. Here are the ones I’ve discovered most recently. There aren’t fifteen in the list, but I’ve never been much good at obeying chain letter instructions. Recipients, please treat this like the thinly-disguised chain letter it is. If you want to play along, great. If not, please accept my admiration for your writing, and ignore the conditions. Big Ugly Man Doll – A fabulous males-eye view of marriage, parenting, and manhood. Don’t miss ManFAQ Fridays. And don’t drink hot beverages while reading (I learned that the hard way). Carol Henders – Faith, inspiration, and recipes for yummy food. How can you go wrong? You wouldn’t believe it by our blogs, but we are actually sisters. Carol, feel free to not link back to me. You probably don’t want to do that to your readers. De Libertas Quirkas – Since I’m a geek myself, I love Kavya’s engineering take on life. Diana Murdock – Sometimes touching, sometimes raw, always thought-provoking. Sierra Godfrey – A great sense of humour about writing and life in general. Don’t miss her Friday Google Reader Roundup. She also writes an excellent blog about design, communication, and usability here. Me! Me! Me me me! – Is it a bird? Is it a plane? No, it’s Aquatom! Poetry, musings, and days in the life of a superhero. Murrmurrs – You never know what you’re going to get with Murr Brewster. From poop to politics, and everything in between (oh, wait, those aren’t actually that far removed), Murr says it loud and proud. Her blog subtitle says it all: “Snortworthy”. And you will. Oh, you will. notquiteold– It doesn’t make a lot of sense to bounce this award back to the person who gave it to me, but I just discovered Nancy’s blog and I love it, so she’s going on the list. If you’re looking for an irreverent take on life from somebody who’s getting better with experience, don’t miss this one. Visiting Reality – Funny double entendres… and a disturbing fixation on camels. Don’t miss Wednesday Hump Days. Hell, don’t miss any of it. Linda Grimes is a blast! As I look at this list of blogs, it’s apparent that music isn’t the only field in which I have eclectic taste. Hope everyone finds something here to enjoy. wee… wee… wee… yayayayay I got nominated for an award 🙂 [jumps up and down]. Thank you so much. Both for adding me to your blogroll as well as the nomination. [more coffee] weee…………. And oh btw… the painting is really good. You are versatile! Congratulations on your award! 🙂 I got a blog award once, but I didn’t know enough blogs to pass it on. Sucky me. BTW I am in awe of your hoering, but you probably already know that. So I’ll simply add I am also in awe of your retch-response to the vapid, limp-wristed whining of 80s boy bands. I listen to those bands with bemused pleasure. But the vapid, limp-wristed whining of *90s* boy bands- that I retch at! Such a great blog and post! I look forward to checking out some of the bloggers on your list. Congrats on your nomination. BTW I am an artist and love your painting! Thanks, Susie! And thanks for visiting. My, but doesn’t that work better when you hit the “Post comment” button? I swore I already left a nice detailed and voluminous comment here, but I don’t see it. I am one click away from glory most of the time, I fear. We’ve got more in common than you know. I don’t like cars, and I love wearing skirts, because you don’t have to wear any underwear. Other than that, though, we’re sisters down the line. Maybe we can do a duet while painting our own gardens….thank you so much for the props, my dear. I keep my blog pristine for possible poop posts so I don’t play in the blog pen too much, but I’m quite honored, and will be proud to slide your worthy work into my blog roll. Oh phooey. You can write. You can paint. Do you cook and design your own clothes, too? So much talent. Thanks for sharing it with such grace. And thanks for the heads up on this and other fun blogs. Thanks for visiting and commenting, too. I’m glad you enjoyed the other bloggers – they’re some very talented and funny folks. Hey, everybody, Barb’s blog is here: http://barbfroman.wordpress.com/ – check it out. I loved her post, “Welcome to Pioneer Friday in Two Pan” http://wp.me/poVWE-90. Reminded me of the “deluxe” outhouse we have on our little acreage. Aah, luxury! His blog is here: http://liamrainsford.com/ – check it out. Monique has a very cool blog here: http://neekswrite.wordpress.com/ Give her three words, and she’ll write you a story. Thanks for the mention. No wonder I LIKE you… you are my long lost little sister! 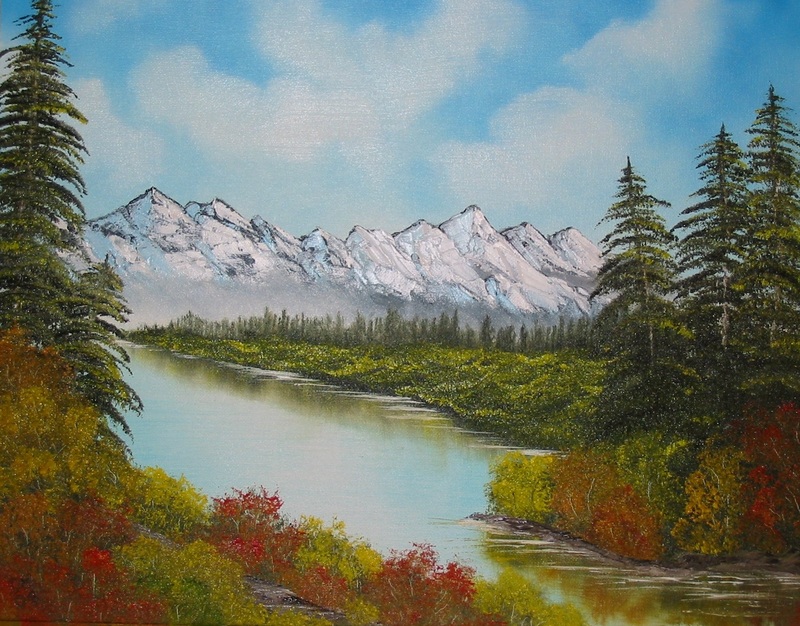 I paint (though watercolors), I married into a drag racing family, not only do I garden, I work for a big nursery, I hate black licorice, and I have eclectic tastes in music. However, even though I don’t wear dresses at the nursery. I love dresses. I am a 100% girly girl. How cool is that! We must have been separated at birth – can I adopt you as a sister? I’d be more than happy to cede all my dress-wearing occasions over to you.